The world's finest, MarbleLike dominoes are created from a proprietary resin blend so each domino can be permanently personalized. 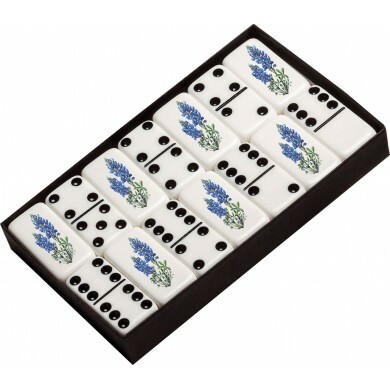 Double 6 sets include 28 professional size dominoes with black dots. Professional size tiles are approximately 1" x 2" x 1/2".